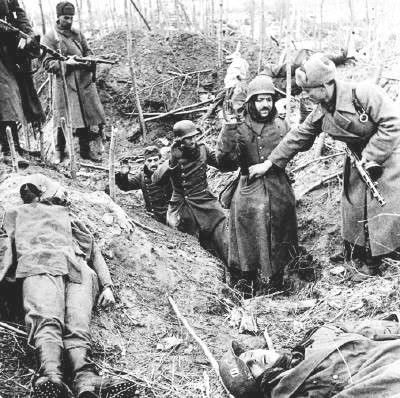 The starving German troops at Stalingrad surrendered, after being surrounded since November. Over 90,000 German troops died of starvation or exposure, while close to 100,000 died in battle during the final month. The surrender had been expressly forbidden by Hitler. Field Marshal von Paulus felt he had no choice but to surrender his 100,000 starving troops. 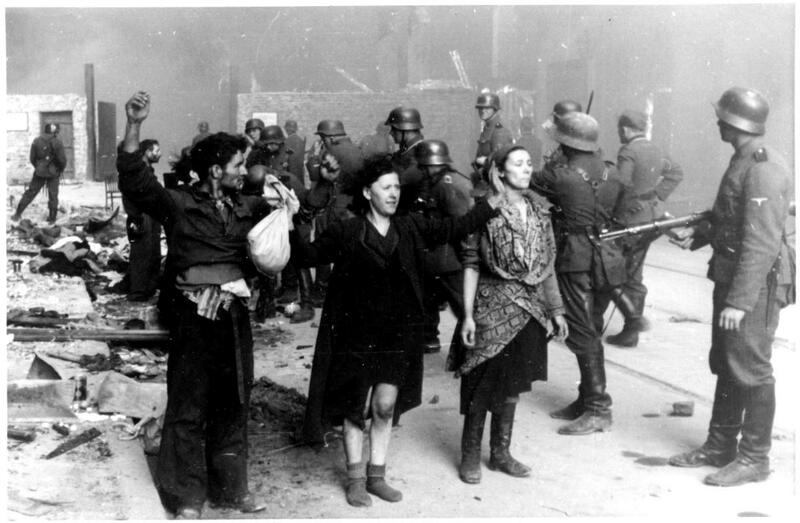 The remaining Jews in the Warsaw ghetto began an armed uprising against the Nazis. The Jews, numbering just 60,000Ð down from the half a million in the ghetto a year beforeÐ knew that those being taken away were going to Aushwitz to be murdered. The uprising lasted from April 19th to May 16th. The Nazis were able to overcome the vastly outnumbered and poorly armed Jewish resistance fighters. 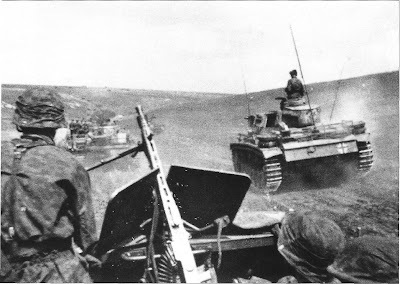 The largest tank battle in history took place at Kursk. The Germans planned a counter-offensive on Soviet positions. Their target was the Kursk salient. Their goal was to cut off the salient and capture the 60 Soviet battalions inside. The Soviets, however, were prepared, and 900 German tanks met 900 Soviet ones. The battle continued throughout the day, and ended in a draw. The Germans would never be able to amass the number of tanks they had at Kursk, while the Soviets were out-producing them every month. 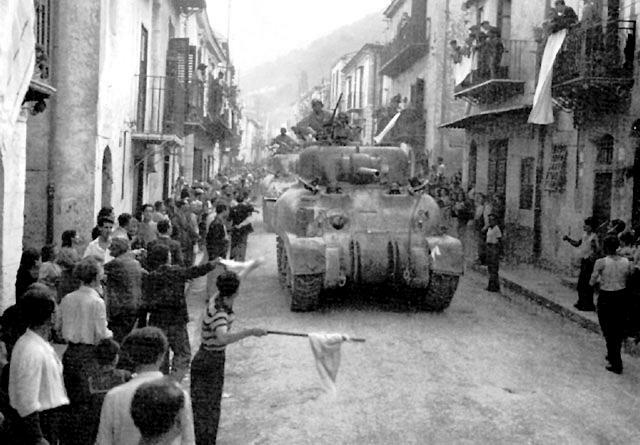 Allied troops, under the command of General Patton, captured the city of Palermo in Sicily. The victory came less than two weeks after Allied forces first landed on Sicily. This marked the first invasion of part of an Axis homeland.